Most of us have heard about Samsung’s most popular phones, like the Galaxy S3/S4 and the Galaxy Note/Note 2. But Samsung makes a lot more than just its higher end phones. 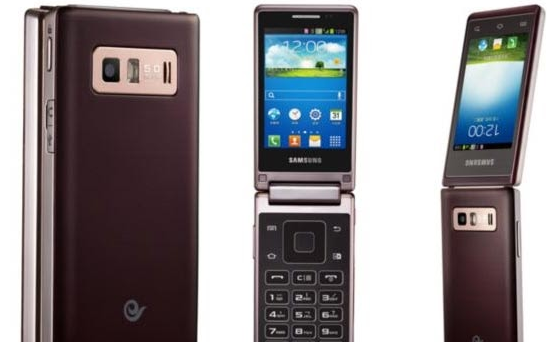 Last week, Samsung announced a smart flip phone called the Samsung Hennessy, and this week, Samsung announced another new flip phone called the Galaxy Golden. The Galaxy Golden appears to be designed for senior smartphone users who just can’t figure out how to use a touch screen. It features a distinctive flip phone design and two 3.7 inch AMOLED displays with 800×480 resolutions. One of the displays is on the top part of the phone and viewable at all times, while the second display appears when you open the phone. 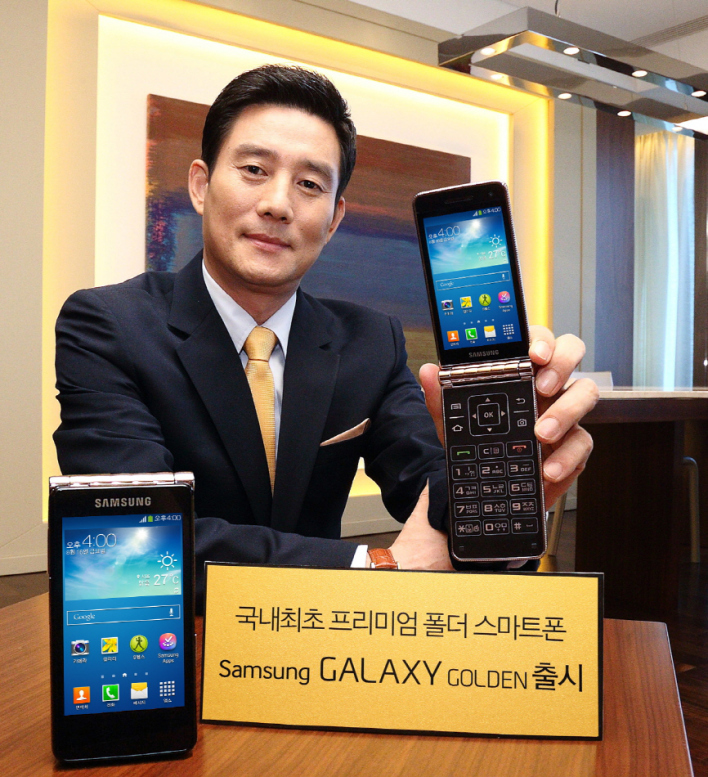 At those specs, there’s absolutely nothing wrong with the Galaxy Golden. However, it’s not anywhere near as powerful as the latest offerings from Samsung, which is why it’s likely to appeal to an older crowd. As if that older crowd appeal wasn’t clear enough, the Galaxy Golden features large physical buttons with big numbers on the bottom half of the flip. Unless you’re a hipster who’s trying to recapture the magic of flip phones, this phone might not be the right option for you. If you plan on getting this behemoth of a phone, then you may have to fly across the world in order to buy it. The Galaxy Golden and the Galaxy Hennessy will likely only be released inside Korea. Sorry hipsters and North American seniors.